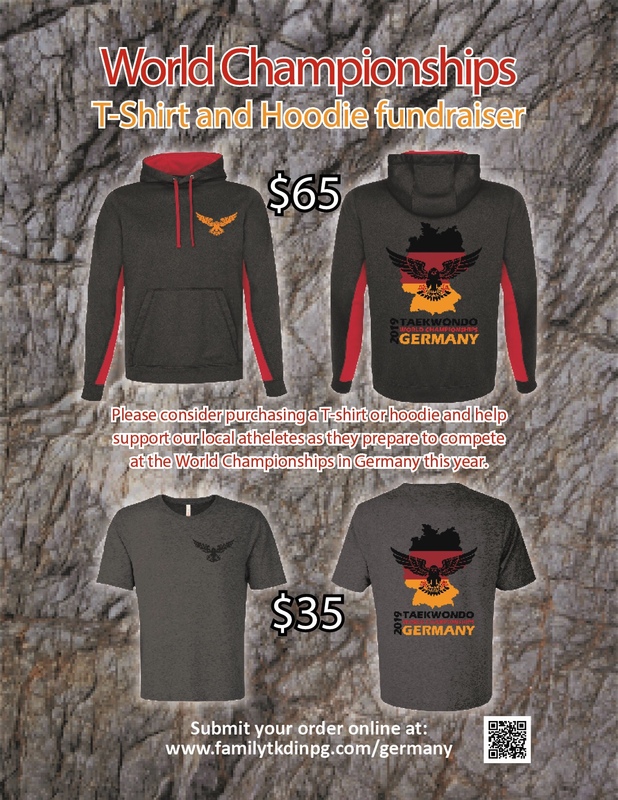 T-shirts and hoodies are offered as a fundraiser to help our local athletes who will be competing at the World Championships in Germany this year. Please consider making a purchase, as your contribution goes a long way to help cover costs associated with the event. T-shirts are priced at $35, and hoodies are $65. Please click the link here to visit the online order form.